The Oregon Historical Society’s Digital History Projects provide the most authoritative and comprehensive online resources on Oregon history. Using expert scholarship and OHS’s extensive collections of photographs, artifacts, and archival materials, the Oregon History Project, the Oregon Encyclopedia and the Oregon History Wayfinder engage teachers, students, and the general public in learning and thinking about the state’s past. With this comprehensive multimedia presence on the World Wide Web, the collections at OHS are accessible to everyone. Want to learn about Oregon History every day? Follow The Oregon Encyclopedia on Facebook and Twitter to see our daily history posts. 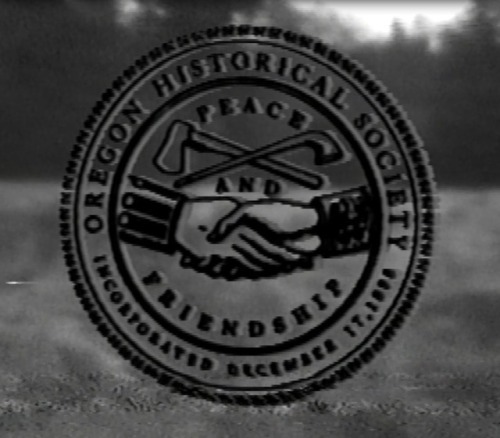 The Oregon History Project (OHP) is a digital resource of the Oregon Historical Society museum and research library. Hundreds of historical records and artifacts from the unique and extensive OHS collections have been digitized, annotated, and organized according to the state of Oregon's social studies standards. The site contains narratives written by Pacific Northwest historians and an online learning center for teachers and students. The Oregon Encyclopedia (The OE) is an online resource for information on the state's significant people, places, events, institutions, and biota. Acknowledged nationally for its innovative design and the quality of its content, The OE is the only encyclopedia of its kind in the region. Overseen by a distinguished board of Oregon historians and educators, the hundreds of contributors to the encyclopedia are the most knowledgeable scholars in the state. Oregon History 101 was a nine-month public history program series designed to give Oregonians a basic understanding of the state's significant people, places, and events. Each month, historians present a chapter of Oregon History, beginning with the earliest peoples and ending with the turn of the twenty-first century. The series emphasizes Oregon's connection to historical themes in American history, including Native history, early exploration, western expansion, race, gender, and social justice, and the post-industrial economy. Series Editors Dr. Carl Abbott and Dr. William Lang have designed the series and invited many of the state's most distinguished senior scholars to speak. Watch all nine programs online. Since its launch in 2008, the Oregon TimeWeb has provided interactive access to the historical materials in the OHS library and museum. In order to improve the site, the TimeWeb is in the process of being upgraded and is unavailable at this time. The Research Library’s online catalog provides researchers with expanded search capabilities to find a wide variety of materials held by the library. The online catalog also contains thousands of thumbnail digital images that provide a preview of the library’s extensive photograph collection, and serves as a useful point of access to thousands of images not yet included in the OHS Digital Collections website.